Shaving Your Face Has Skincare Benefits! Welcome to face shaving 101. P.S. SHE'S DOING IT WRONG! Dermaplaning should be done with a single-blade razor. There's no shame in wanting to shave your face—men do it regularly so why can't we, right? If you don't know how to do it, here's an easy guide that will talk about its benefits, the right products to use for it, as well as myths you should stop believing in rn! Shaving your face, or dermaplaning, mechanically exfoliates the top layer of dead skin by removing baby hairs to improve the effectiveness of skincare and makeup products, according to Vogue. Into The Gloss reports it's founded on "caveman logic," because you just take the sharpest and safest tool you have and use it to get rid of unwanted facial hair! Not only will face shaving gently remove the tiny moustache you've probs been bleaching since high school, but it will also leave your skin brighter and more radiant, and make your makeup look more flawless [Via PopSugar]. It's also extremely affordable since you only need an eyebrow razor, which you can find in most drugstores and grocery stores. Number one is everyone's favorite: Your facial hair will grow back thicker and darker. On the contrary, our "vellus hair" aka "baby hair" on our face is naturally soft and fine and shaving them won't make them coarser. The second is that you can use a leg razor. Um, sorry to break it to you, but no. For your face, you want to be extra careful since you don't want to end up with nicks and cuts. An eyebrow razor or face razor is the best one to use for this specific kind of shaving as it's angled for easier use. And the last myth is that you need to do it every day. Actually, depending on how balbon you are, once or twice a week is already enough. Some women even do it once a month or whenever their complexion just needs a quick pick-me-up! First, make sure your complexion is dry and free of any makeup whatsoever. Next, starting on the left side of your cheek, gently pull the skin downwards, position your razor at a 45-degree angle, and lightly brush the razor over it. Work it by section and in short strokes to get every strand. According to Kirbie Johnson of PopSugar, shaving it in one long stroke won't cut off any hair so ~short and sweet~ is the way to go! 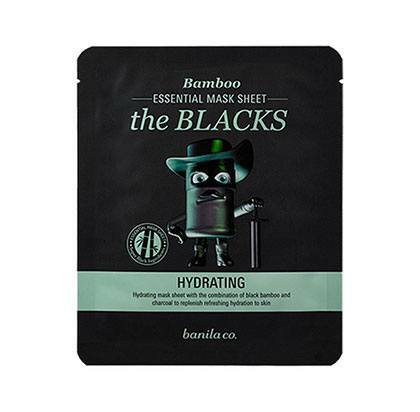 Once you're through with shaving and your skin feels "raw" or "tingly," you can always pop on a sheet mask to soothe and calm it down. This is optional, though, so you could always just use your moisturizer after—whatever works for you, girl.